Topic: Money Supermarket Action Man!! Thanks for the reply, but there are no screw holes or slide covers to access the batteries from what I can see. 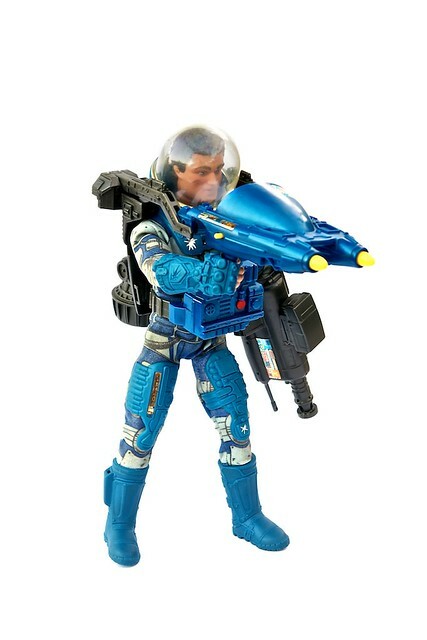 Hi does anyone know how to change the batteries in the blue sound and light box of the space commando as seen below? Topic: What was the French Infantryman Called? Re: What was the French Infantryman Called? oh yes, didn't see that !! thanks. lovely to see it in a modern incarnation. anyone seen this on toynewsinternational with a summary talking of the black major? off the top of my head, I think the palitoy Whale is also missing all the footpegs, either that or the shell that I have in the loft is even more junked out than I thought. I have never been into them as like everyone else says the poseability isn't there and it takes away from being fully jointed. They seem to go for big money on the 'bay though, I accidentally got one in a lot recently- still not that impressed. Topic: Big Ben UK release? Re: Big Ben UK release? the IAF was US release only. just checked th 94 catalogue and BB is not there. Lowlight v.3 was released as the euro weapon version.